Did you know 85 percent of plants require a pollinator, and bees pollinate more than a third of our fruits and vegetables? Pollinators are an essential part of our everyday lives. Without them, our gardens and the produce sections of grocery stores would look shockingly sparse. As modern landscapes change, bees and other pollinators are fighting to survive. From 1990 to 2000, American cities lost 5,405 miles of open space, 2010 research found. That's nearly as much land as the entire state of Connecticut! The loss of open space puts pressure on our urban landscapes to fill the nature gap. According to Kevin Marks, district manager of The Davey Tree Expert Company in North Denver, Colorado, people across the country are ready to take action. To celebrate National Pollinator Week, which is June 18-24, Marks encourages you to create more space for pollinators. "While most people think first of planting flowers, trees, too, can help pollinators," Marks adds. "Then, you get the many benefits of trees, like energy savings and curb appeal." Marks says there are many trees you can add to your property that will look great, benefit you and support pollinators. Bee sure to include one of Marks's top 5 trees that pollinators love. These trees with vibrant flowers attract and support a range of pollinators year-round, enticing them with nourishing pollen and nectar. 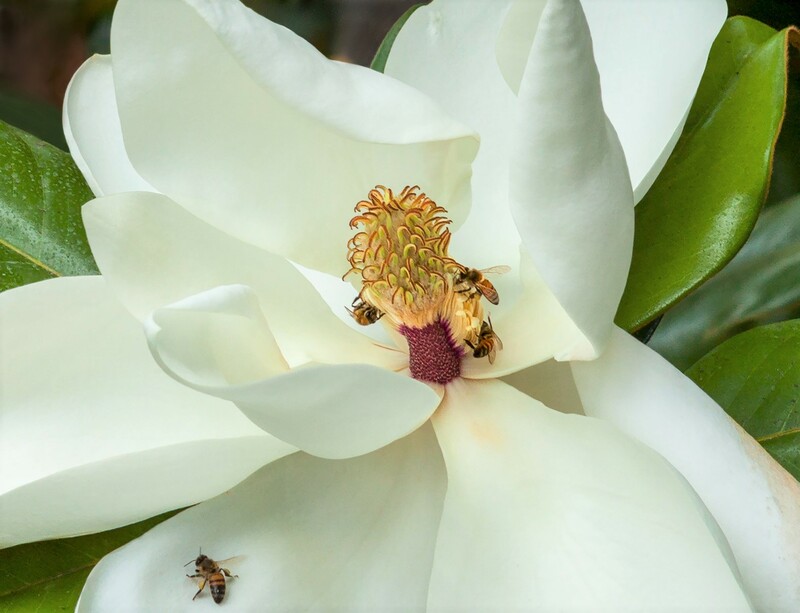 Bees, fruit flies, leafhoppers and more are among the species that visit these pink or white petals. Planting natives is one of the best ways to assist pollinators. Native oaks support pollinators throughout the year in many ways, like providing winter shelter and habitat. In fact, native oaks give more than 500 pollinator species a home and enable them to return for years to come. Tupelo trees provide colorful pops of foliage to the fall landscape. But their yellow, red and orange leaves appeal to the bee population in a completely different way. The flowers provide a source of food for bees during springtime, and the bark offers a safe home. 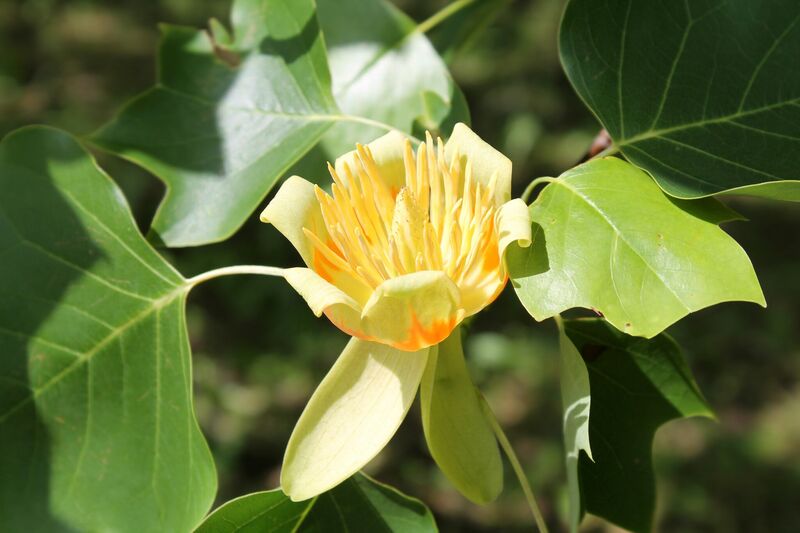 The large, tulip-like flowers produced by the yellow poplar give this tree its name. Not actually a poplar, this tree is a member of the magnolia family. Its greenish-yellow blooms and sweet nectar attract pollinators. These trees need a lot of space, so plan for them to keep growing. Invite pollinators to your yard by adding this sweet, fruit-bearing tree. Not only are they irresistible and tasty to bees and caterpillars, but black cherry trees are also spectacular looking. Once you find the right tree to bring those buzzing, beautiful pollinators to your yard, you may be tempted to plant your tree right away. But Marks recommends waiting until fall. "Planting trees in summer may set them up for failure. Warm temperatures and dry elements put stress on a young tree as it tries to establish itself," Marks explains. "But you can plant containerized trees in summer (if you water them lots)." In fact, most trees need a bit more water during summer, especially if you're in a drought. Keep all the trees in your yard healthy this summer with these three steps. Or if you need an extra hand caring for your trees, give Marks – or any of Davey's certified arborists – a call, and they'll be glad to help.